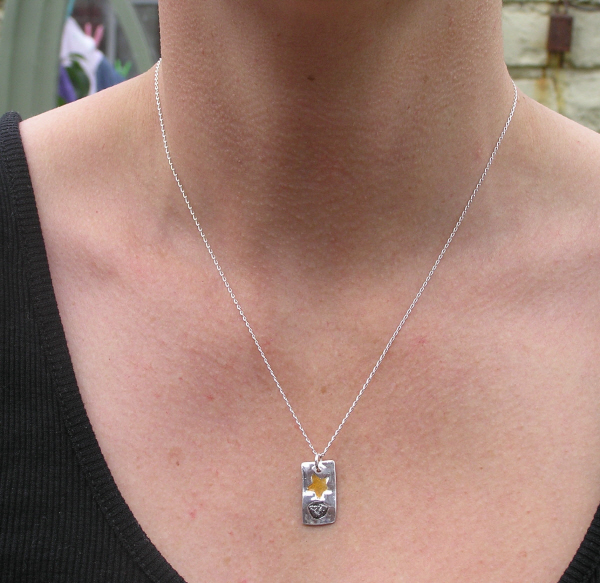 This is a simple but elegant piece of meteorite jewellery. I think this would suit a man or woman, and is a small rectangle of solid silver set with an golden enamelled star and a fragment of iron Campo Del Cielo meteorite. The pendant itself measures 2cm top to bottom -and is strung from an 18 inch sterling silver curb chain and boxed in a stunning black velvet lined jewellery box along with a signed certificate of authenticity.